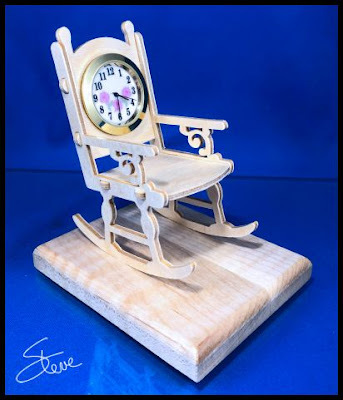 Rocker Mini Clock for a retirement or new mother gift. 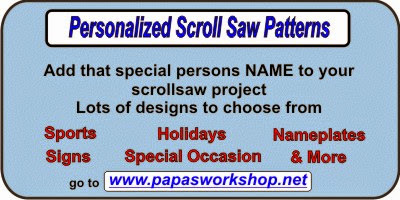 Scroll Saw Pattern. This little rocker mini clock is a gift for a new retiree or new mother. This clock is only about four inches tall so it's perfect for a desk or display shelf. The rocker is cut from 1/8" Baltic birch plywood. The base is 1/2" thick. The base is required because the rocker is not balanced to hold the weight of the clock. There are tabs on each rocker to attach the rocker to the base. Choose the clock style for the gift you need. These 1 7/16" mini clock inserts require a 1 3/8" mounting hole. I use a 1 3/8" Forstner bit for accuracy. 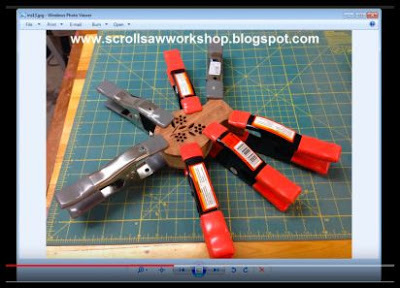 If you cut the hole with your scroll saw it is best to slightly undercut the hole then sand it to a snug fit. This little rocker is cut from 1/8" thick wood. Wood this thin can be extremely difficult for new scrollers to cut. Actually, it's not easy for most scrollers at any level. The thin wood does not give any resistance to the blade and make it difficult to control the cut. The easiest way to improve this is to stack cut multiple pieces. For this pattern, the right and left side are identical so stacking cutting makes sense. The single pieces of the seat and chair back can also be stack cut even if you only need one chair. Just throw the extra pieces away. These pieces are so small that the waste of wood is too small to be concerned with. I have not demonstrated stack cutting for a while so if any of you are new let me know and I'll be happy to show the technique. 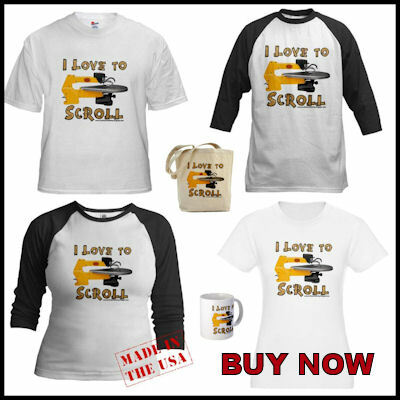 We have new readers here all the time so don't be shy. Ask questions. 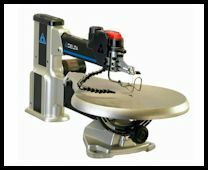 Do you need a small drill press for your scroll saw workshop? 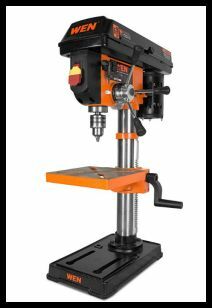 This is a nice entry level drill press. 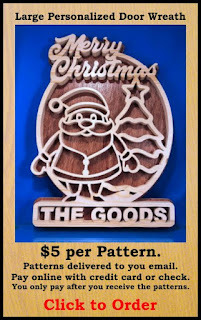 Santa Claus Door Topper Scroll Saw Pattern. Long post ahead. This Santa door topper is over 20 inches long and two layers deep. I designed it in pieces to be easier to cut. You can use 1/4" or 1/8" thick Baltic birch plywood then glue them to each other and a thin base. You don't have to use it as a door topper. 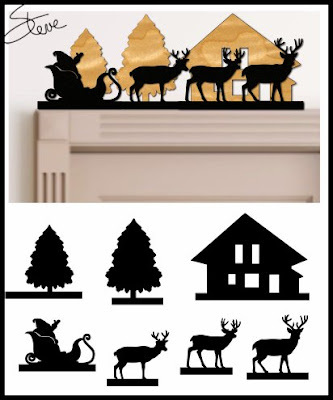 You can cut the pieces from 3/4" thick wood and use them as a Christmas scene in a window or on a shelf. If you do this you may want to add bases to each piece. This is going to be a long post. I missed posting yesterday and I wanted to get a couple of important items out. 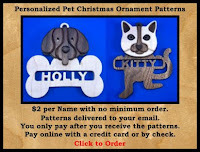 Make sure you check out the special from Sheila Landry Designs. 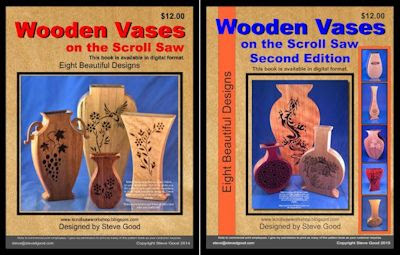 Also, take a look at my shameless plug about the Wooden Vases on the Scroll Saw Books. 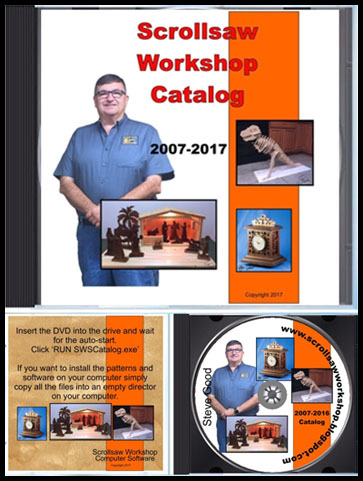 Even if you already own the books you may want to take a look. 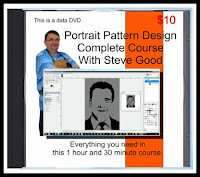 I am going to show you how to edit the patterns to make them unique using free software. These will make great Christmas gifts. This is also your last day to enter the Bear Woods giveaway. Don't miss out on free money. 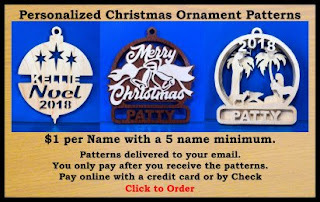 Trying to kick this bug update: Signature Coin Orders, Christmas Ornament Patter Orders. I wish I could say I was feeling better today but I was actually worse. I just can't get rid of this thing. I slept several extra hours last night hoping I would get my energy back but I'm still weak. Thanks again for all the well wishes. 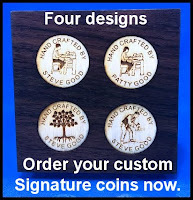 I was able to work enough today to get all the Signature Coin orders shipped. If you were waiting on an order you should have the invoice in your inbox. If you don't see the invoice please check your spam folder. I don't have all the Personalized Christmas Ornament orders complete but I plan to work on them right after I post this. They will probably be in your inbox by the time you read this. There have been a few orders that I have not received payment for. This usually happens because the invoice and patterns went to the spam folder. If you were expecting an order you should have it by now. Check your spam folder and then email me if you don't find them. If you have decided not to pay that's fine I just want to make sure you received them. 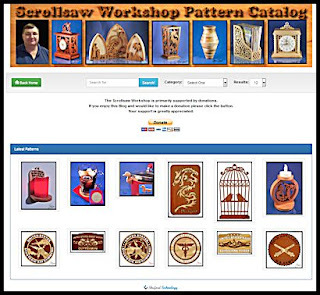 My guarantee is that you only pay after you have the patterns and are completely satisfied. I would ask that if you have decided not to pay for an order that you don't place another order. Thanks for your understanding. I received an email from Sheila asking me if I would pass along a sale they have going right now. 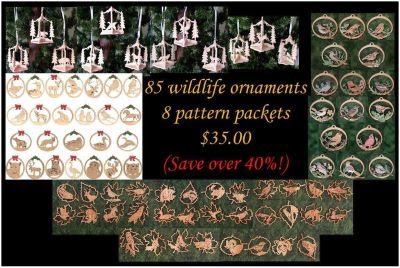 Keith put together three Christmas Ornament Packs. Buying these patterns in the packs save you over 40%. Take a look at these packs and you will see that every pattern is a keeper. There are no throwaways in these sets. Great value. You still have enough time to turn out several ornaments to give as gifts or just hang on your own tree. Shameless Plug: Wooden Vases. Designing your own! 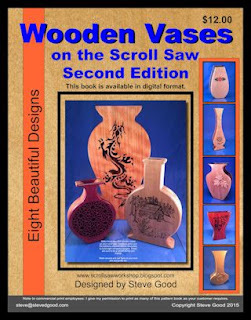 I want to plug my Wooden Vases on the Scroll Saw Digital Books. There are two digital books. Each one is $12 and contains eight vase patterns each. These are decorative vases that are very easy to cut. You can see exactly how they are made by watching the video below. 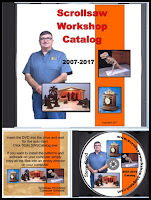 In the second video, I will show you how to edit the vases to make them exactly what you want. 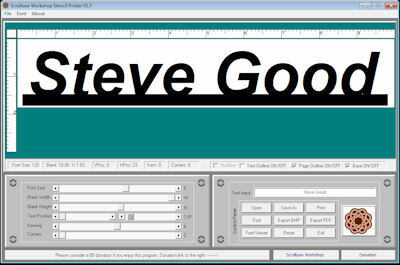 I show you how to use the free vector graphics program, Inkscape to make the easy edits. 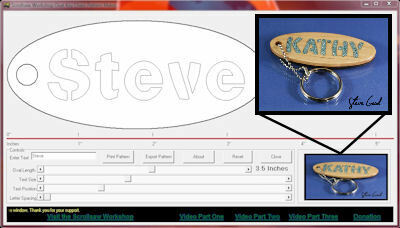 With a few simple edits, you can make a one of a kind gift for someone special. If you cut the vases as is or make the design personal these will make beautiful Christmas gifts. 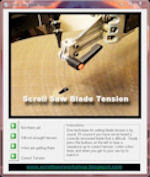 Once you watch the cutting demonstration you will see that these are novice level patterns. They sure won't look like a novice made them when you are finished. The tallest vase is 14" tall. 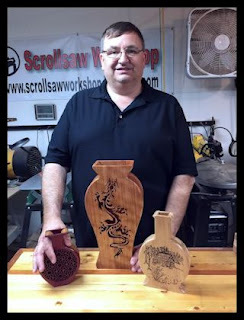 Video Demonstration on cutting these vases. Learn how to edit these pattern to make them unique. 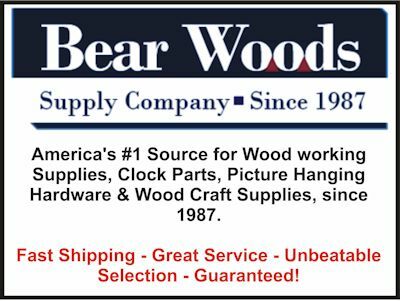 Bear Woods Sponsored Giveaway: Don't miss out! Entries are going strong for the Bear Woods Giveaway. We have over 7,800 entries with 1 day left to enter. If you have not yet entered then click the link below and maybe you will be the winner. Remember that you can enter every day. Still on sale for $331.80.